Kathryn was prepped and ready with an “I love you” sign to see her husband’s ship depart. Due to a mix-up about the location and some bad luck, she arrived as it was leaving out of sight and missed her opportunity to wave goodbye. Kathryn was absolutely crushed until the kindness of three complete strangers impacted her life in a way she never imagined. 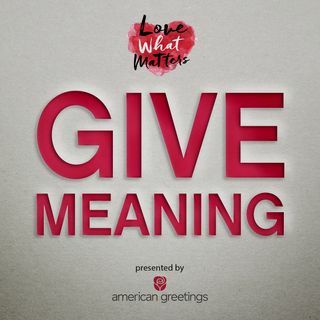 Give Meaning is presented by Love What Matters in partnership with American Greetings. Visit AmericanGreetings.com/GiveMeaning for more.